Cerdanyola del Vallès is strategically located within Barcelona's metropolitan area and belongs to the dynamic region of Vallès Occidental. Modernisme in the town has its origins in summer holidays. Thanks to the beauty of its landscape, an abundance of water and good transport links, the town attracted the middle classes and intellectuals of Barcelona between 1880 and 1930. This fact created new architecture, with rental homes, casinos, a new church and luxurious mansions that changed the town's urban landscape. The most important Modernista architects who worked in the town included Gaietà Buïgas, Eduard M. Balcells, Marcel·lià Coquillat, Ferran Cels, master builder Josep Graner and Gaudí followers Joan Rubió i Bellver, Cèsar Martinell (author of the Celler Cooperatiu, which no longer exists) and Lluís Muncunill, alongside other younger architects who were now leading the Noucentisme movement, such as the brothers Antoni i Ramon Puig Gairalt or Rafael Masó. Gaietà Buïgas Monravà renovated the Castell de Sant Marçal and designed many other buildings in the town. His nephew Eduard Maria Balcells was municipal architect from 1905 and designed many Modernista works. Within this family group is also the engineer Carles Buïgas, who designed the illuminated art deco fountains of Montjuïc. A significant part of this architectural heritage disappeared from the 1960s onwards due to urban speculation and changes in this dormitory town. The most notable of which have been preserved include the Rectoria, Casa Mongay, Casa Lòpez, Casa Dolors Balcells and the Escoles, all designed by Eduard Maria Balcells; Torre Vermella, Can Llopis and Castell de Sant Marçal, by Gaietà Buïgas; Casa Vinyals (currently the Escola de Música), by Ramon Puig Gairalt, and the Panteó Fatjó, amongst others. The Torre Vermella (1879) is one of the most interesting buildings in the town, attributed to Gaietà Buïgas, although Lluís Domènech i Montaner may have also participated. In terms of interiors, the most important are Ca l'Arquer, by Marcel·lià Coquillat, renovated by Antoni Puig Gairalt, the stained glass windows of the Casa Fernández, by Balcells, and the mosaics by Lluís Bru in the church of Sant Martí, which was designed in an eclectic style by Claudi Duran i Ventosa. The church's interior also contains other Modernista elements, such as the baptistery grille, stained glass windows and banner for the Daughters of Mary made by the house of Esteve i Cia. The composer and musician Enric Granados was one of the town's regular summer visitors and he also attracted colleagues such as Eduard Toldrà and Pau Casals. In terms of painters, the most notable were Josep de Togores, who was born in Cerdanyola, Alexandre de Riquer, Manuel Cano, Manuel Humbert and Marià Espinal; and sculptors that included Rafael Atché, Ismael Smith, Alberto Lena, who set up a studio for moulds, Josep Viladomat and Francesc Juventeny. 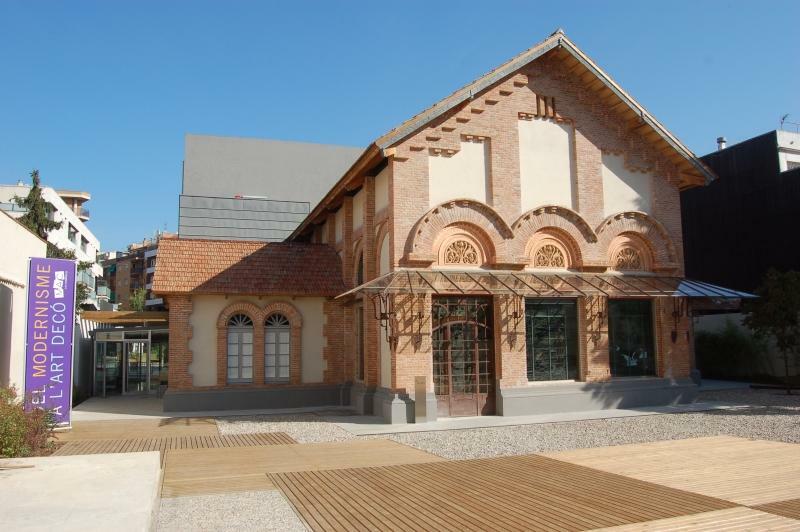 This cultural core is the guiding thread of the Museu d'Art de Cerdanyola, which is located in the former casino and whose outstanding work is the series of stained glass windows entitled "Les Dames de Cerdanyola" (The Ladies of Cerdanyola), the culmination of Catalan Modernista stained glass. 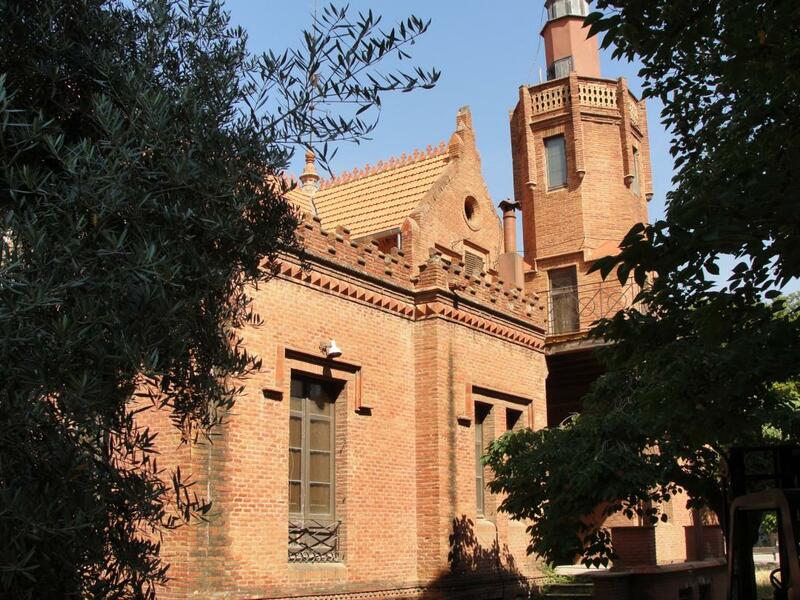 The museum also has a major Modernista collection of paintings, sculptures, architecture, photography and industrial art, with works by Casas, Llimona, Balcells, Bru, Escaler, Burguès, Smith, Vilatobà and Togores.